In the final scenes of Homer’s Iliad, Achilles, legendary symbol both of warrior prowess and unbridled rage, undergoes a conversion unlike any other character in the epic. According to Dr. Stephen Smith, he freely changes, repenting his furious actions and acting compassionately toward Priam, king of Troy. It is this act of change, this beginning of virtue, that Smith says comprises the epic poem’s final glory. The following video is a clip from Hillsdale’s Online Course: “Great Books 101: Ancient to Medieval,” featuring Stephen Smith, dean of faculty and professor of English. So, what's powerful about the ending (Book 24) in all these little ways, is that Achilles—the man of rage, the man who made that prayer at the beginning, the man who sent his friend to his death, the man who killed and treated Hector's body so outrageously—here at last begins to act differently, to change. This is the one exception, I think, in the poem. Some of the other characters experience a moment of truth, a moment of possible change, but don't quite change. Here, Achilles freely changes. 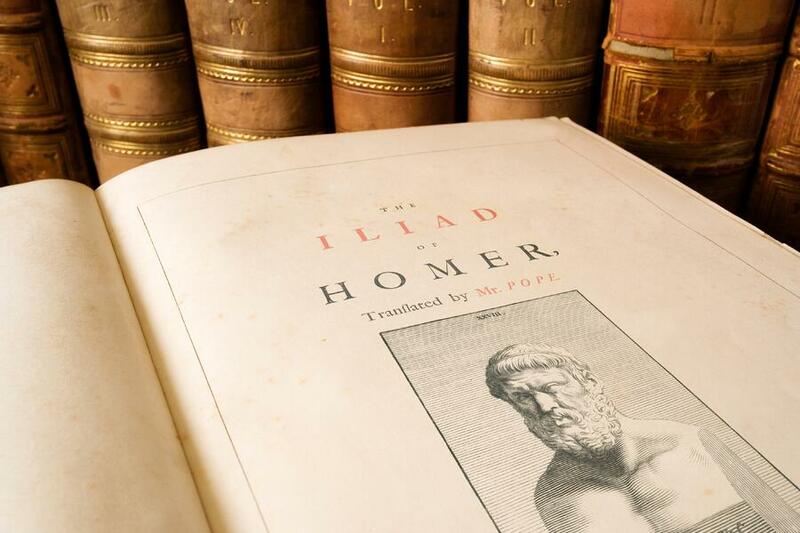 Zeus had said, “I will grant him glory.” Perhaps the final glory of Homer's Iliad is the beginning of virtue in Achilles or the beginning of a new way of life. The last image we have of Achilles, actually, in the whole poem, after all of the rage, after all of the death and violence, is sleeping in his tent at peace. Really, the final wonder is Achilles, half-man/half-god, Achilles haunted by death, Achilles given to rage and to outrageous prayers, experiencing peace of soul and, again, the beginning of a new way of life. So if there's glory here at the end, it is the glory of Achilles' freedom and the freedom from his rage. I hope you've enjoyed this overview of the poem, and I hope you can sense just how worthwhile a reading experience this first and perhaps greatest of the epics really is.